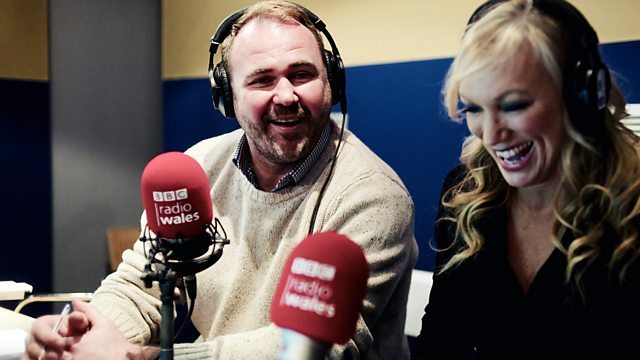 Scott Quinnell and Amanda Protheroe Thomas are reflecting the mood of the country following Wales' opening game in the 6 Nations with Grand Slam actress Sharon Morgan. Scott Quinnell and Amanda Protheroe Thomas are reflecting the mood of the nation, following Wales' Six Nations opening game in Paris. Actress Sharon Morgan is looking back at her time in Paris filming the infamous rugby film ‘Grand Slam’, where amongst the rugby stars of the seventies – Derek Quinnell – Scott’s Dad – made a cameo appearance. Sharon also talks about her latest role on the BBC soap opera ‘Pobol y Cwm’, Plus Scott gets advice from a surprise guest. Simply the Best:classic Soul - Various. Negotiations And Love Songs 1971-1986. Discography - Pet Shop Boys.